A BCBP member is a businessman or professional who influences change leading to Christ centered behavior and practices in his sphere of work. He is a disciple of Jesus Christ and has integrated the Lord’s teachings into his total life. He gains support and grows spiritually through his active involvement in the Church and in the Brotherhood of Christian Businessmen and Professionals. This definition of membership applies not only to men but also to women who are engaged in business and or the professions. The BCBP member is one who exerts influence in his place of work, whether out of his position of authority or leadership, or simply out of his own effective dealings with those whom he works and comes into contact with. He is an agent of Christian change in his marketplace, a powerful witness for Jesus Christ with the ability to encourage and lead transformational change in others. The first step in getting to know more about the BCBP is attend the BCBP breakfast nearest you. Come, enjoy breakfast with other BCBP businessmen and professionals! We look forward to welcoming you! 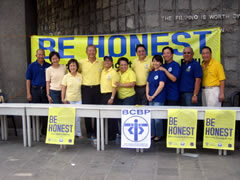 I’m a member of BCBP-Makati but have not attended a breakfast meeting for quite some time. My wife and I have transferred a location at Gen. Maxilom Ave. cor. Rahmann St., Brgy Zapatera, Cebu City. I wish to attend regularly a BCBP breakfast meeting. Where’s the nearest venue? Can you give me the name/mobile no. of the member I could contact? Thank you. I would love to join this organization. Hi Good day Sir/Madame i would like to join BCBP Singapore chapter how can i join? May we ask for an email address?, we would like to send you information for an interview. Hi, I would like to know more of BCBP Baguio..How can I join the group? I am Nolie O. Burton one of the Manager of Jollibee here in Solano Nueva Vizcaya, 23 years old of age, am i eligible to join?? can you teach me how to join because Im really willing to be a member. 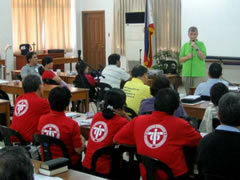 I am from Singapore and developing some ministry work in Mactan where the community is generally poor. I would like to see how BCBP may be able to help and/collaborate with me and my co-laborers in Cebu. We too believe in sharing the need for Christ. In addition, we also want to enable a sustainable livelihood for the communities so they can give God the glory and know He provides. Thank you and giving Him the glory always. 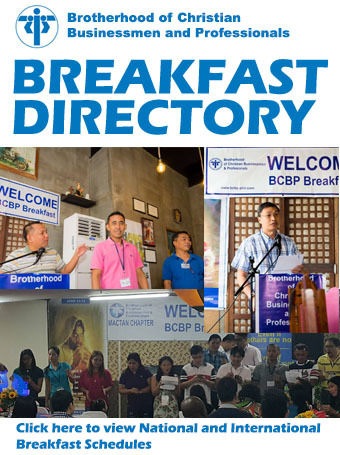 May I know please the new venue of BCBP Binan chapter breakfast meeting? Accordingly someone said it is no longer in My Spoon Restaurant. A friend would like to join in Binan. Thanks and God bless.